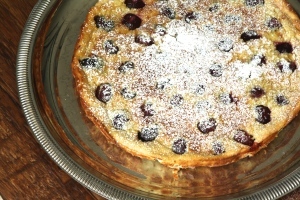 I love heralding the arrival of the cherry with a traditional French clafouti. 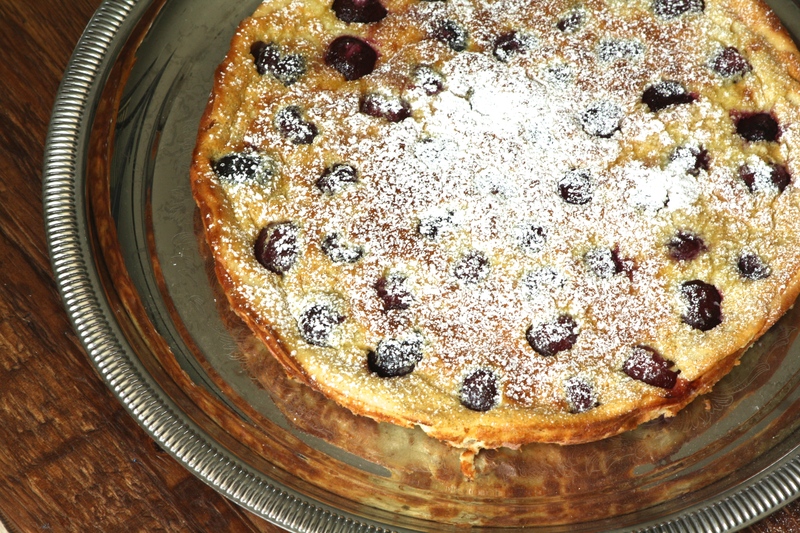 This custardy cake is a classic – gorgeous as an understated dessert, or an easy way to dress up breakfast. 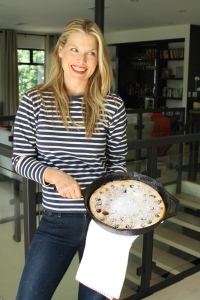 The beauty of clafoutis is that they are so easy to make, and they are delicious with a variety of modifications to the recipe. For a healthier twist, you can substitute nut milks for dairy, trade in whole grain or GF flours, and replace the kirsch with almond extract. Adding 1/3 cup almond meal makes for a heartier breakfast. I’ve also baked with and without pits depending on the “rustic”-ness of my table guests. 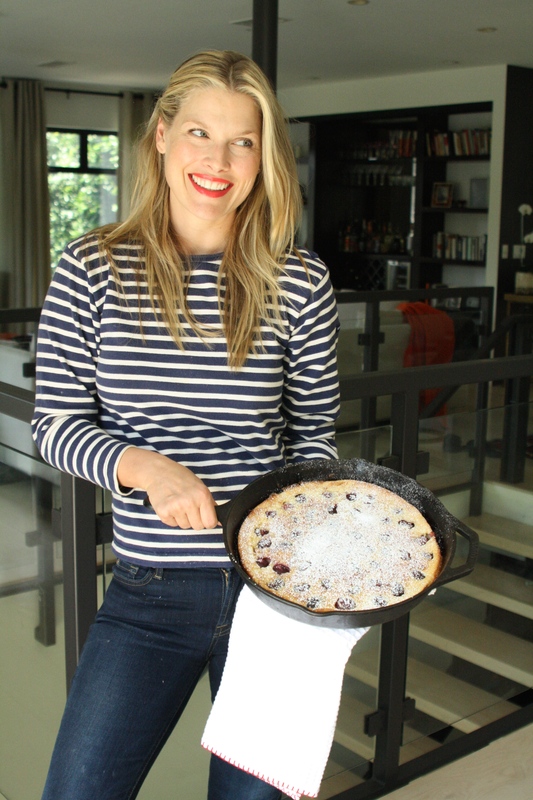 You can’t mess up a clafouti, so enjoy and experiment! Halve cherries and remove the pits. Pour 1 tbsp. kirsch on top and allow to macerate. Put butter in a 10-inch cast iron pan and pop in oven to melt. 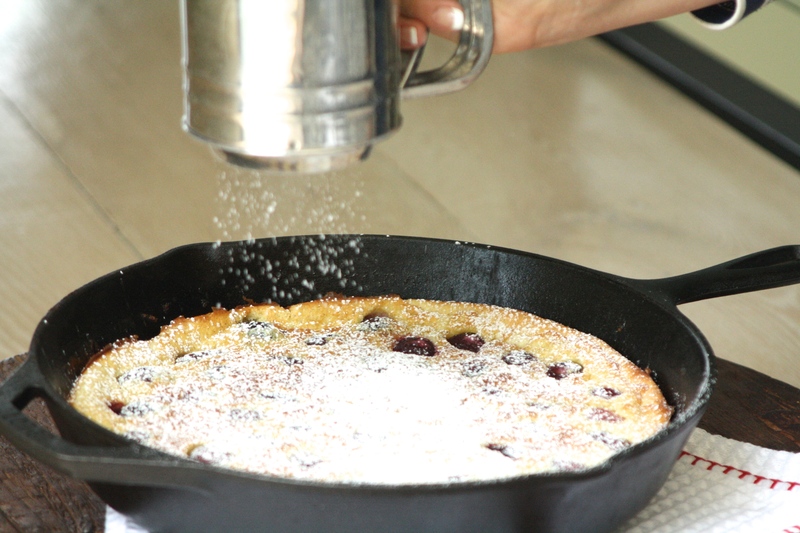 In a blender, mix buttermilk, sugar, vanilla beans, eggs, and salt until they achieve a consistent texture. Mix in the flour. 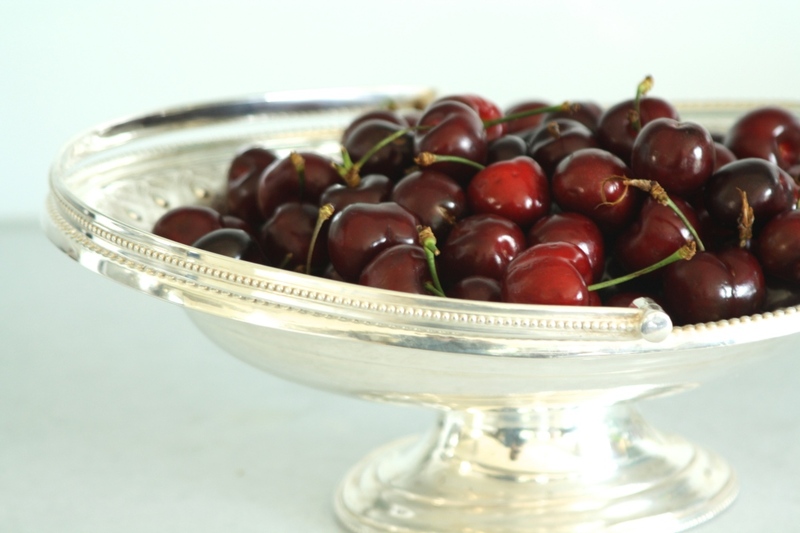 Remove hot pan from oven, and toss the cherries in. Pour batter over the cherries. Bake for about 35 minutes or until puffed and golden. Allow about 15 minutes to set, and then dust with powdered sugar and shaved almonds, if desired!